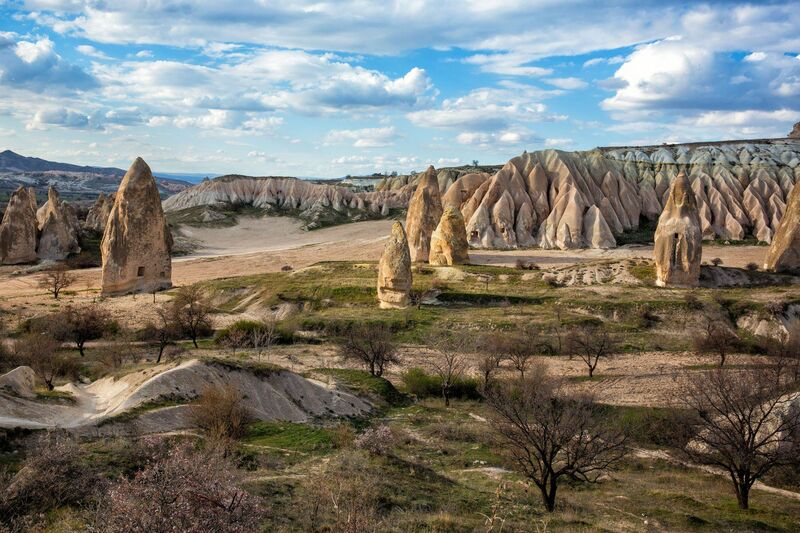 Cappadocia…the land of whimsical fairy chimneys and peculiar rock formations. 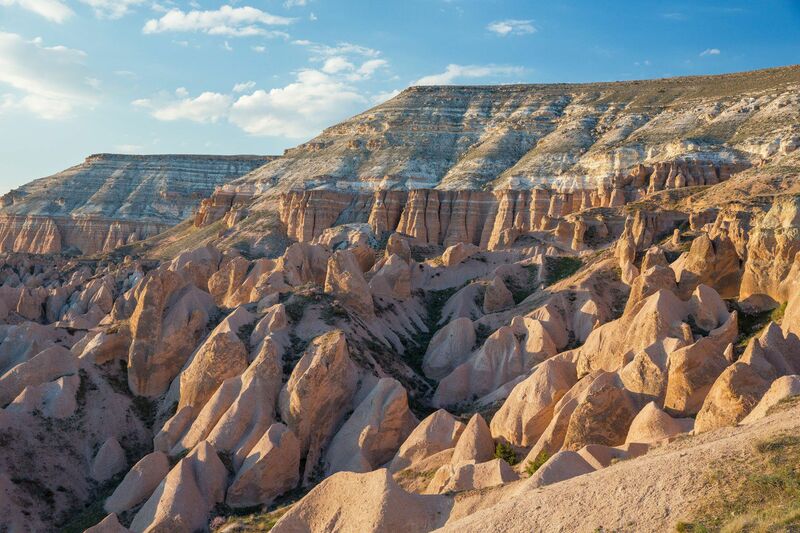 Coming to Cappadocia is almost like visiting another planet. The landforms are so unique that it’s hard to believe they really exist until you see them with your own eyes. If you want to visit a place that is like stepping into another world, then put Cappadocia on your list of places to visit. 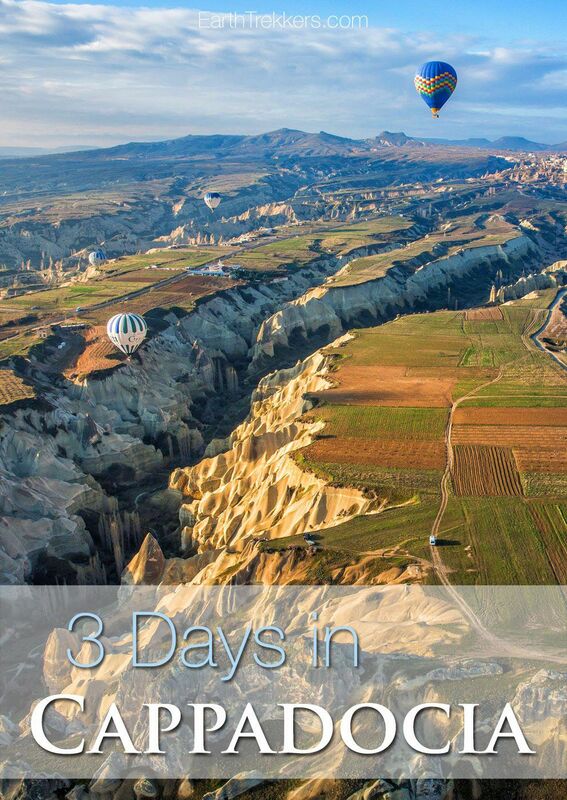 3 days in Cappadocia is the perfect amount of time. 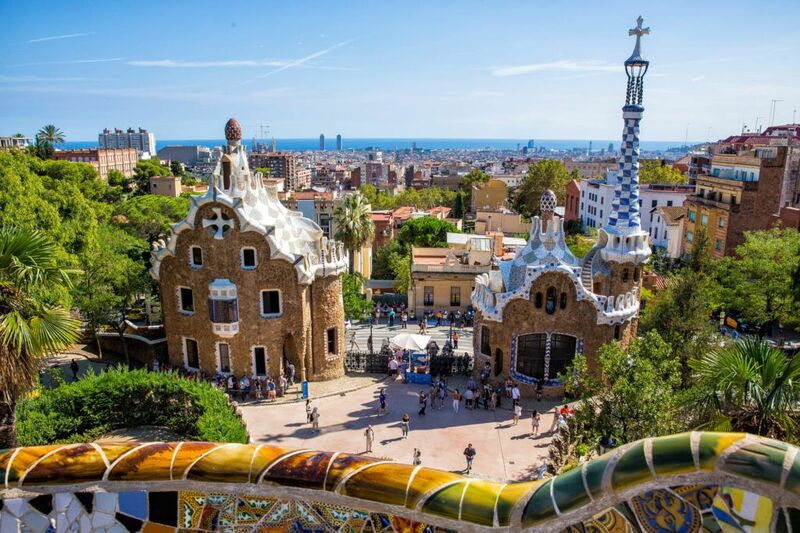 Three days allows you to see all of the big sites, do a little hiking, explore some caves, and even go on a hot air balloon ride, if your heart desires. 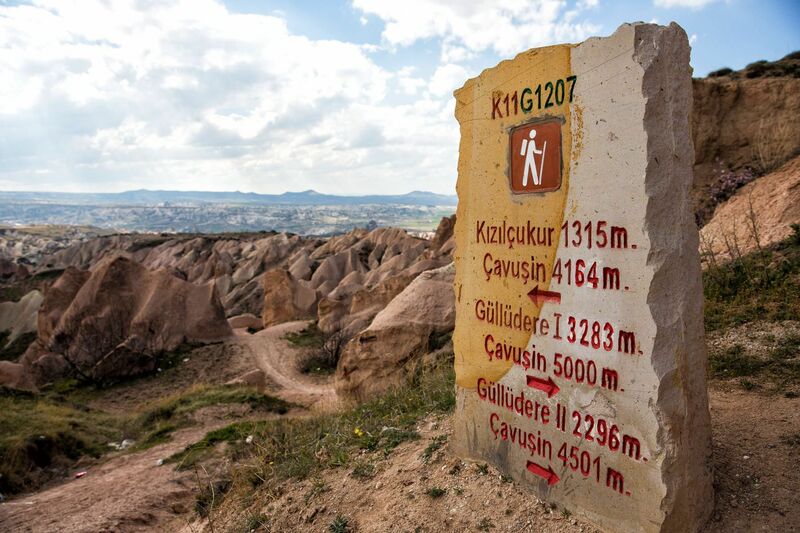 More information about traveling to Cappadocia. 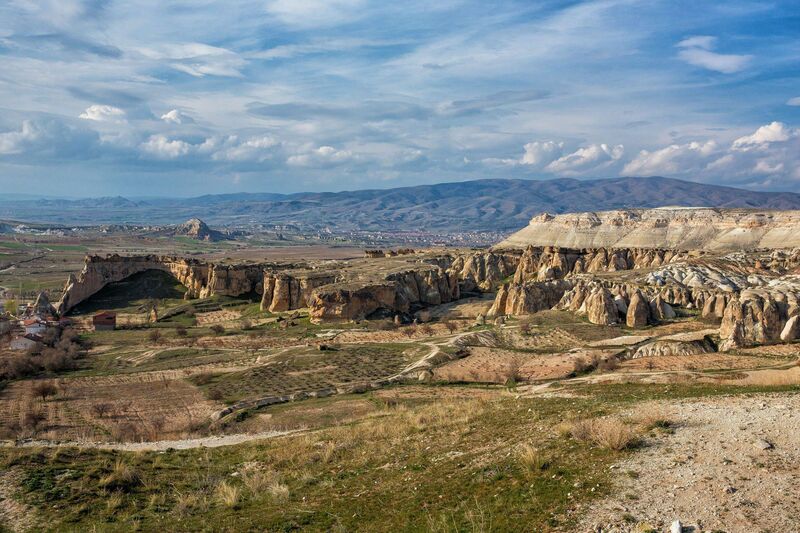 The rock castle at Uchisar is the highest point in Cappadocia, giving visitors the best views over the area. Climbing up through the castle gives you your first chance of many to explore the many caves in the area. This is great for kids; immediately Tyler and Kara knew that Cappadocia was going to be an adventure and not some boring museum-hopping vacation. Our photos don’t give the views justice as we were here when it was raining. 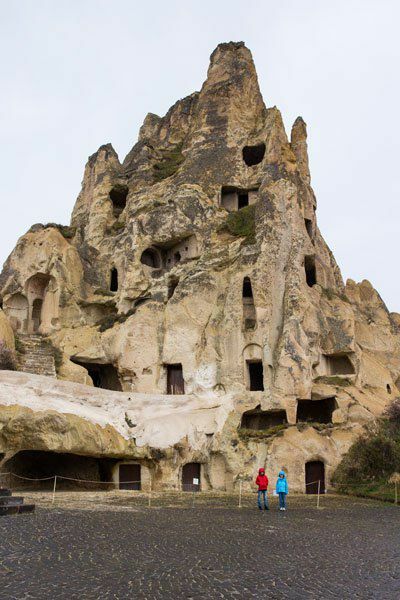 Just a short drive away is the Goreme Open Air Museum. 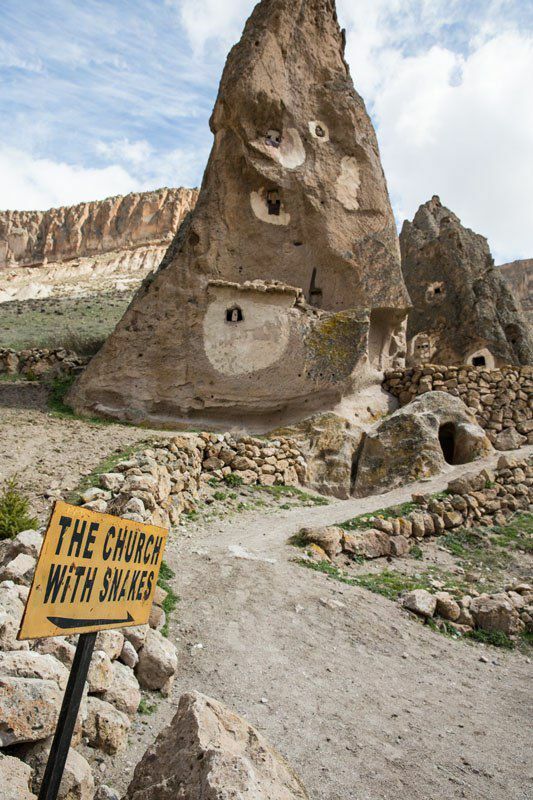 This is a series of Catholic churches carved into the side of a mountain dating from 1000 years ago. Paintings in the churches were preserved by the splattering of pigeon poop that accumulated on the walls. Gross, huh? Well, the pigeon poop is all gone but the artwork remains. 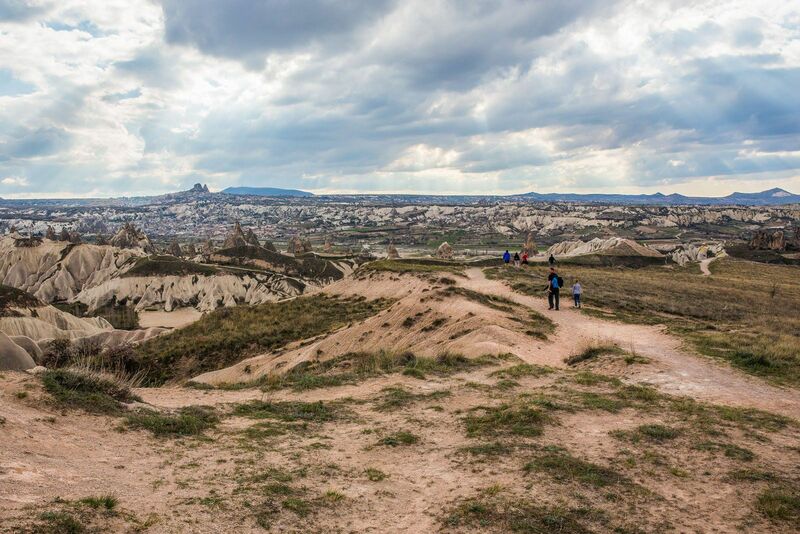 Allow an hour for your visit to the Goreme Open Air Museum. After visiting the museum have lunch in the town of Goreme. The Love Valley hike is a 1.5 mile hike (one-way), mostly flat with some gentle climbs. This hike takes you through one of the local valleys with the reward of seeing large cone shaped spires at the end of the hike. 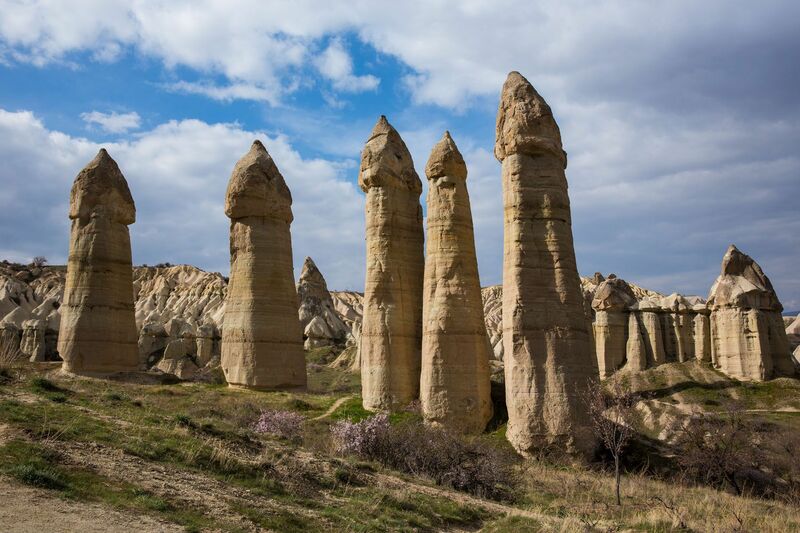 This hike is named for the phallic-shaped rock formations at the end of the hike. It is a beautiful area, comical for adults and question raising for our kids. Allow 1.5 to 2 hours for the hike. Pro Travel Tip: We hired a driver to take us around Cappadocia. I recommend doing this. He dropped us off at the start of the hike and picked us up at the end point, which saved us a lot of time and backtracking. We hired our driver through our hotel. 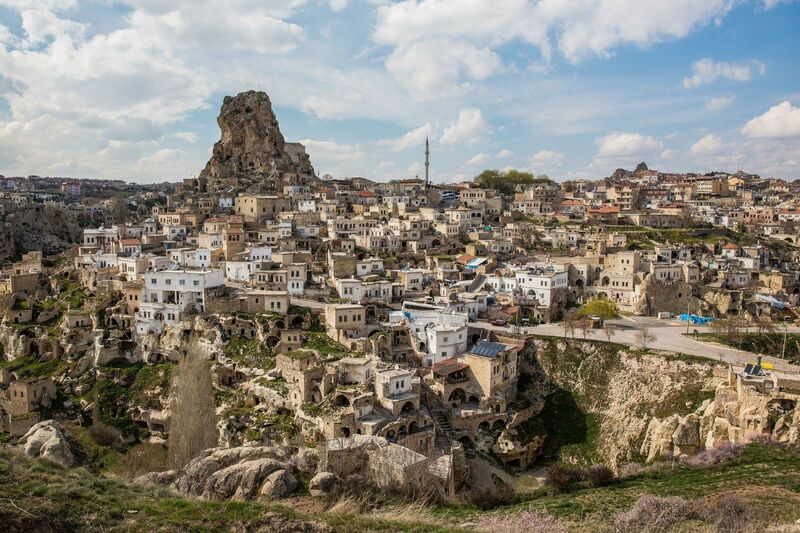 This is another popular town in Cappadocia with more caves to explore and an ancient village built into the hillside. 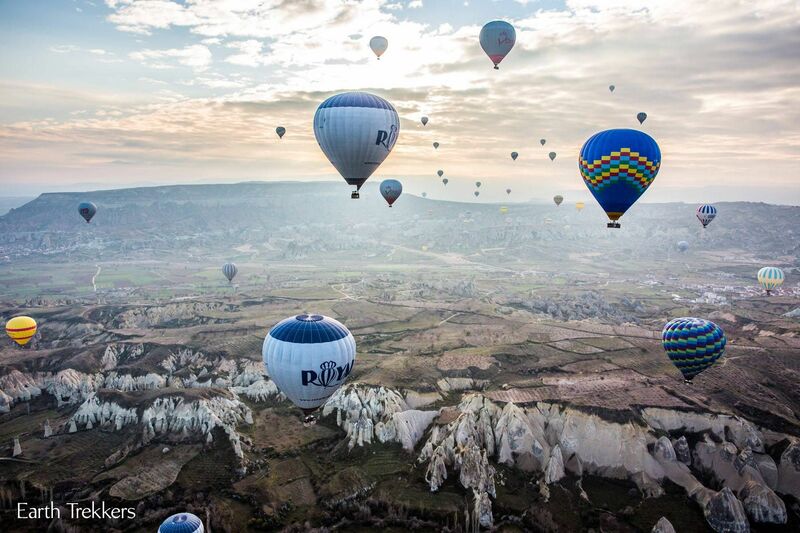 It also gives visitors more awesome views over Cappadocia. 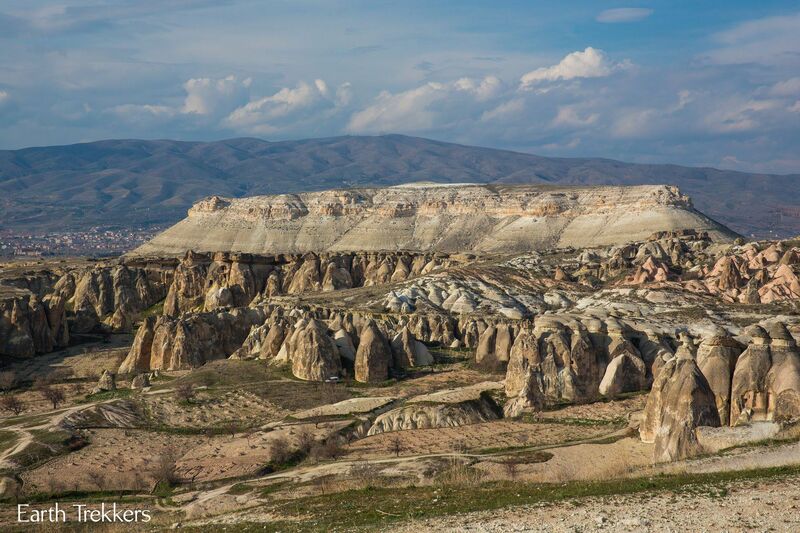 Monks Valley, another popular set of caves (there are tons of these in Cappadocia), is located in Pasabag. This makes for a very quick stop. Great for kids, Devrent Valley is also known as Imagination Valley. Rock formations are shaped like camels, seals, lions, and whatever else you can imagine. End your day with dinner and time to relax. 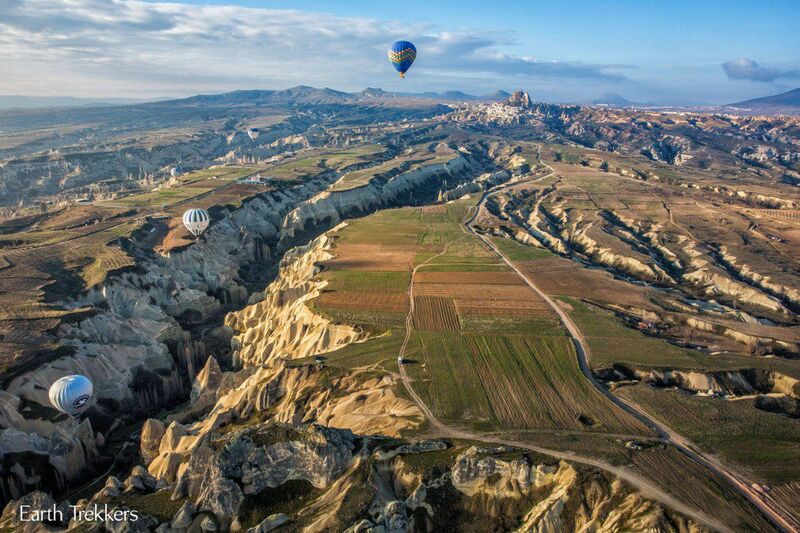 Seeing the unique scenery of Cappadocia from the vantage point of a hot air balloon is an unforgettable experience. 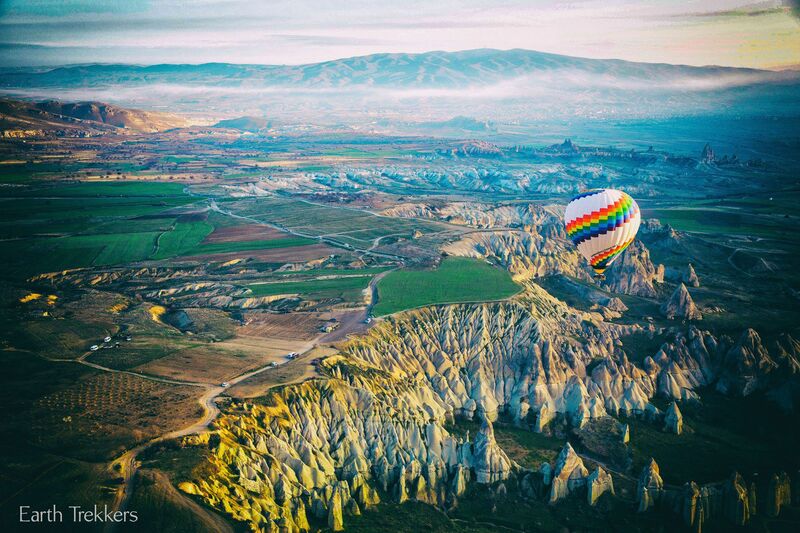 If you do one thing while in Cappadocia, a hot air balloon ride gets my vote. It may be painful paying the fee, but the memories and photos you will have make it worthwhile. Your day will start very early. We were picked up at 5 am at our hotel by Royal Balloon and at 6:30 am we were floating up into the air. During the flight you will ascend 300 meters into the air (that is REALLY high!!) and then down into Love Valley. We got so close to the ground that our basket almost brushed the treetops. To say the experience was amazing would be an understatement. Soganli Valley is a half hour south of Urgup. It takes about two hours to explore the churches that were carved into the mountains many hundreds of years ago. Tyler and Kara thought this was much more interesting than the Goreme Open Air Museum. 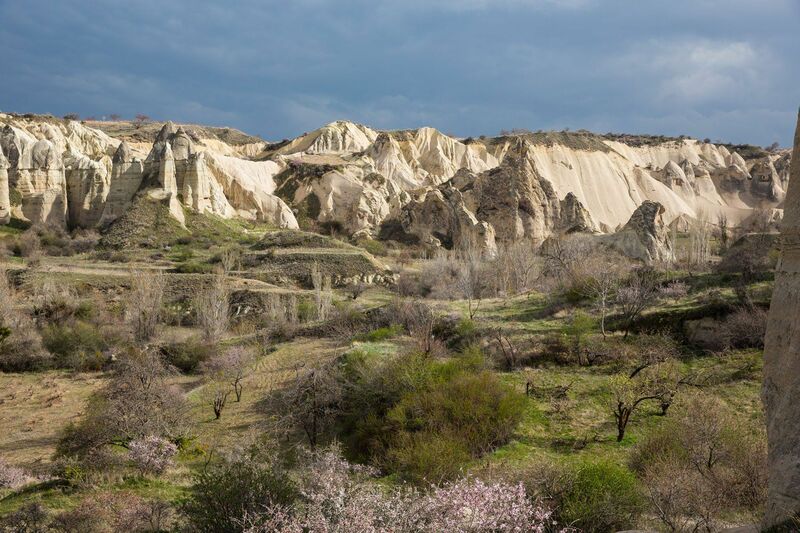 Soganli Valley is off the beaten track so it gets fewer tourists than other more popular sites in Cappadocia. While we were here, we had lots of time to explore without anyone else around. The Old Greek House, recommended in tour books and by our driver, is a great place for a lunch break. Located in Mustafapasa, this is a great pit stop on the way back to the heart of Cappadocia. 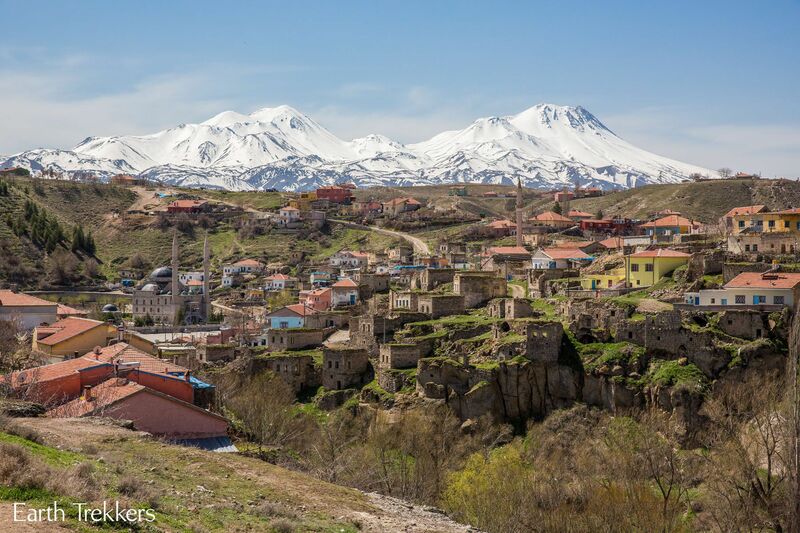 Ortahisar is another scenic town built on the hillside. It takes just a few minutes to view it from the road or you can take more time to explore it. 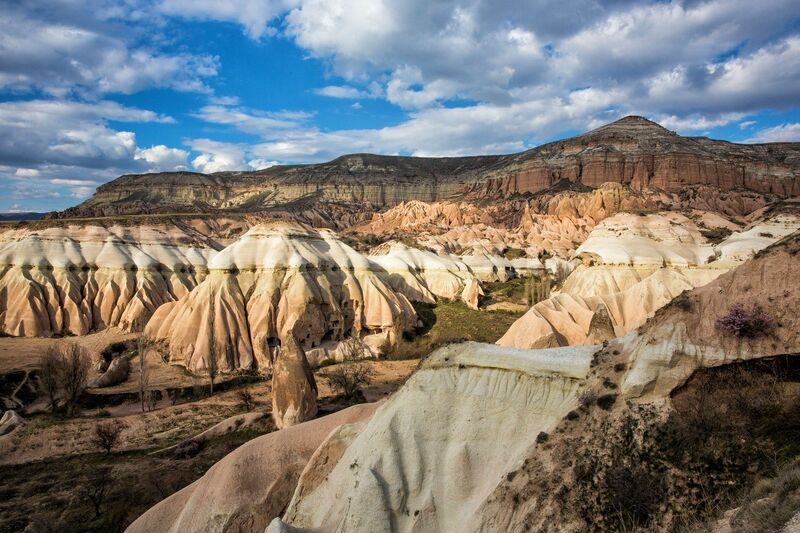 This is another incredibly scenic, easy hike to do in Cappadocia. It is a three mile, point-to-point hike through a valley that looks like a cross between Love Valley and the Grand Canyon. Here you will hike among spires that are pink, red, and white. Plus, it was another great activity that Tyler and Kara loved. The hike takes about two hours and ends in the town of Cavusin. Sunset point is located at the start of the Red and Rose Valley hike. This is the most popular point in Cappadocia to watch the sunset. End the day with dinner and more time for relaxation. 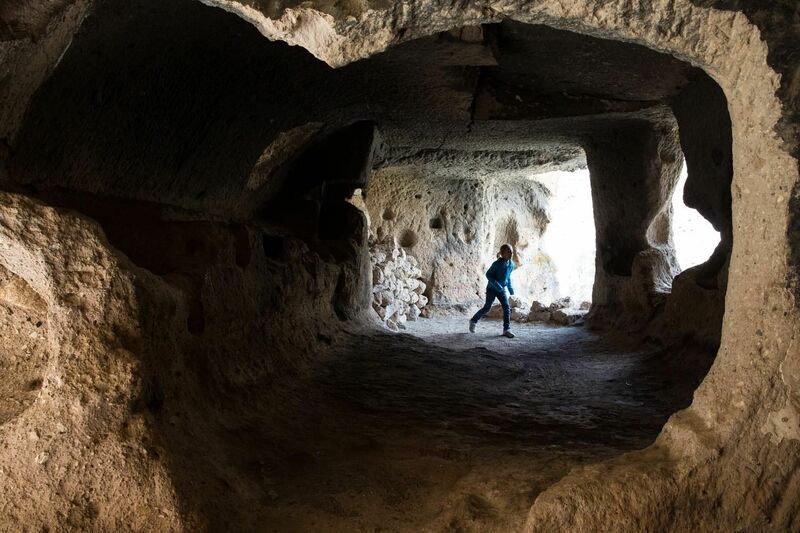 Derinkuyu is the largest of the underground cities in the area. 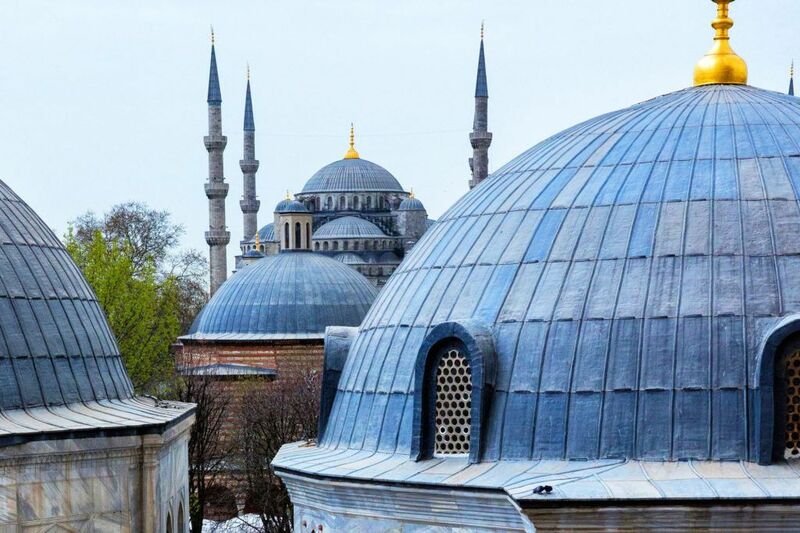 Believed to have been built in the 7th and 8th centuries B.C., this city could accommodate 20,000 people on its 16 levels. Derinkuyu was inhabited until the early 20th century but is now on display as a museum. Make sure you bring a flashlight and a jacket; it is considerably colder in the underground tunnels. From Derinkuyu it is a 50 km drive to the start of the hike. A quick stop in Guzelyurt can be an interesting pit stop if you have the time. Taken from Guzelyurt, this is the town of Belisirma. It is a 4 mile point-to-point hike through the Ihlara Valley. This flat, easy hike can be done quickly, as there are few climbs or obstacles. The entire hike goes along a river, with chances to explore more caves along the way. The hike ends at Belisirma Valley. A collection of restaurants are located on the river. At the advice of our driver we ate at Aslan Restaurant. The food was very good and we enjoyed sitting next to the river while we ate our lunch. Selime Cathedral is the largest church in Cappadocia. Again, it is a collection of rooms carved into the side of a mountain. This area also served as inspiration for the pod race scene in Star Wars Episode 1. From Selime Cathedral, the highway that takes you back to Urgup is the same path as the Silk Road hundreds of years ago. Located on the side of the road is a caravanserai, a large stone building that was an overnight stopping point for people transporting their goods along the Silk Road. Finish the day be having dinner at your hotel or in town. The quickest and most convenient way to get to Cappadocia is to fly. Airports are in Kayseri and Nevsehir. Airport shuttles can connect you from the airport to your hotel. Buses are also an option, but expect a 12 hour journey from Istanbul. The best way to get around Cappadocia is either by renting a car or by hiring a private driver. Public transport is not a viable option in Cappadocia. We chose to use a private driver since we did three point-to-point hikes. Normally, we are fans of renting a car and getting out on our own, but here in Cappadocia, the private driver made things much easier for us. We arranged our driver through our hotel. When else can you sleep in 4-star or 5-star cave? Sleeping in a cave was one of our favorite experiences in Cappadocia. We stayed at Yunak Evleri Hotel in Urgup and highly recommend it. The staff was friendly, attentive, and met all of our needs. Our room was quiet and comfortable and very unique. I would definitely stay here again. If you stay in Urgup, there are number of great restaurants within walking distance of your hotel (Urgup is very small). Ziggy Café: This was our favorite place to eat in Cappadocia. The food was superb. Even though it was a very chilly night, we sat outside, draped in blankets provided by the restaurant, and ate one of our best meals in Turkey. The Old Greek House: This restaurant is an old Greek house that was converted into a Turkish restaurant. We ordered way too much food, trying to sample as much as possible. Delish! 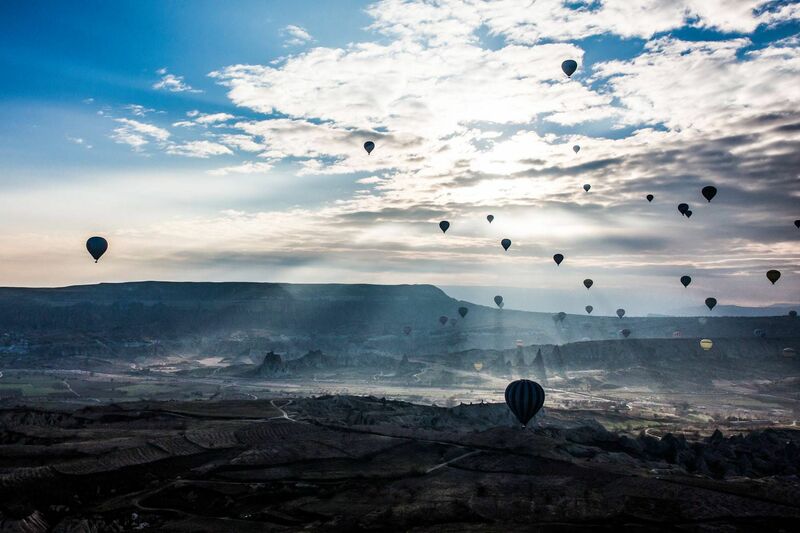 The best time to go to Cappadocia is from the end of April to June and September and October. During these months the days are warm, the nights are cool, and there is little threat of rain. During the first few weeks of April there can be a lot of wind, which cancels balloon flights. In the winter, you may get lucky enough to see Cappadocia with a light dusting of snow. That would be a sight to see! Summers are hot and dry. Many places do not have air conditioners so if heat is not your thing, it would be better to avoid Cappadocia during this time. We were in Cappadocia at the end of March 2013. We were there a few days before Easter. This is shoulder season, also a great time to visit. On our hikes we saw only a few people, the crowds were low at restaurants and tourist sights, and at some places (like Soganli Valley and Derinkuyu) we felt like we had the place all to ourselves. Weather conditions in March can be erratic, but other than a few hours of rain, we were lucky enough to have sunny skies and pleasant temperatures. Cappadocia is an awesome destination for children. 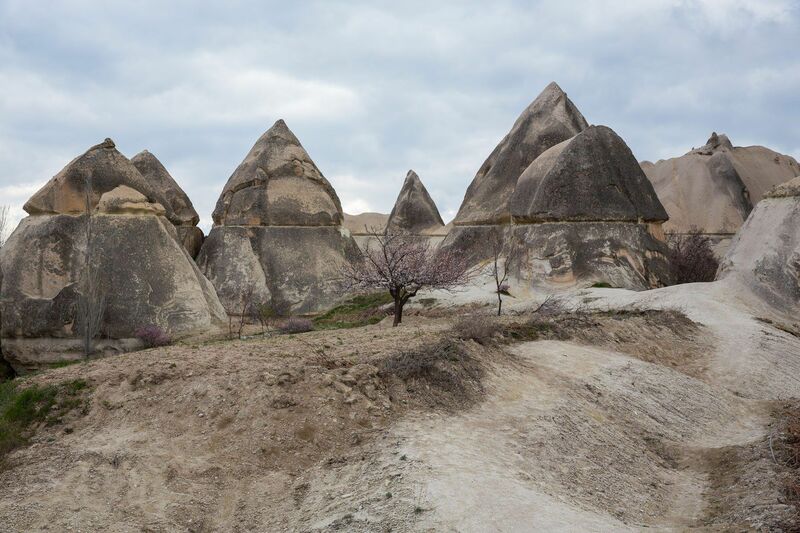 The easy but fun hikes, the hot air balloon rides, the unique scenery, and the friendliness of the Turkish people made Cappadocia one of Tyler’s and Kara’s favorite places we have been too. We used Royal Balloon, taking their Royal Queen Flight. This flight lasted 60 minutes and was significantly cheaper than their longer 90 minute flight. 60 minutes was the perfect amount of time for our family. We did not miss out on not having the longer flight or the smaller balloon (which means a smaller number of passengers). Thanks so much for sharing the information and detail. We are planning our trip and encountered your site. Wonder if you still remember approx. how much it cost for the private driver and if you guys hired for all 3 days? As there will only be 2 of us, would like to have an idea of the private driver budget in mind. Do you still have the contact point? Hi what a great post! Im trying to plan a solo traveler trip. Between mid feb to mid/late march 2019. 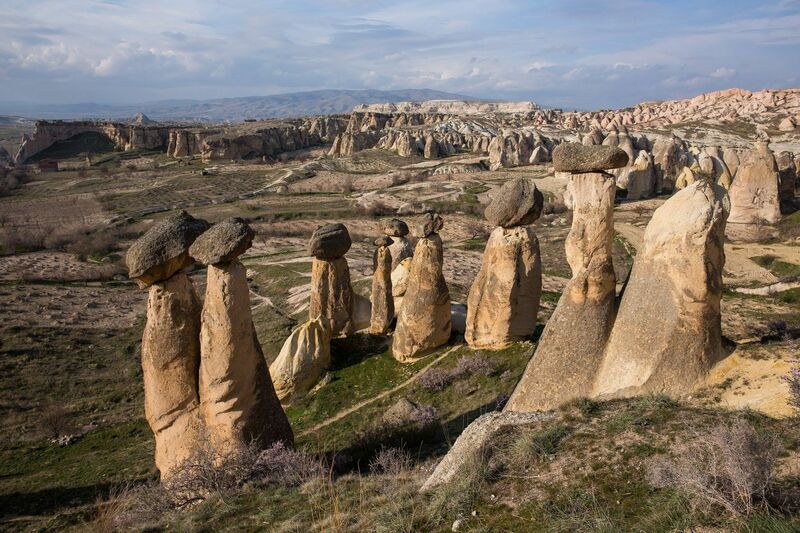 I just want to hit london for stonehenge and goreme, turkey for the fab unique cave town landscapes…. im trying to understand how to fly roundtrip from london. Im good with piggybacking the hotel you stayed in and the hiring a driver thing and the balloon excursion. Guess im trying to make a bit more sense of the logistics. You mentioned the driver hire you did through the hotel, so guess thats easy, but the rest…getting to hotel, and if the hotel is in a walK friendly area to most of the cave architecture? Any help is appreciated! Cheers. This is an awesome blog. 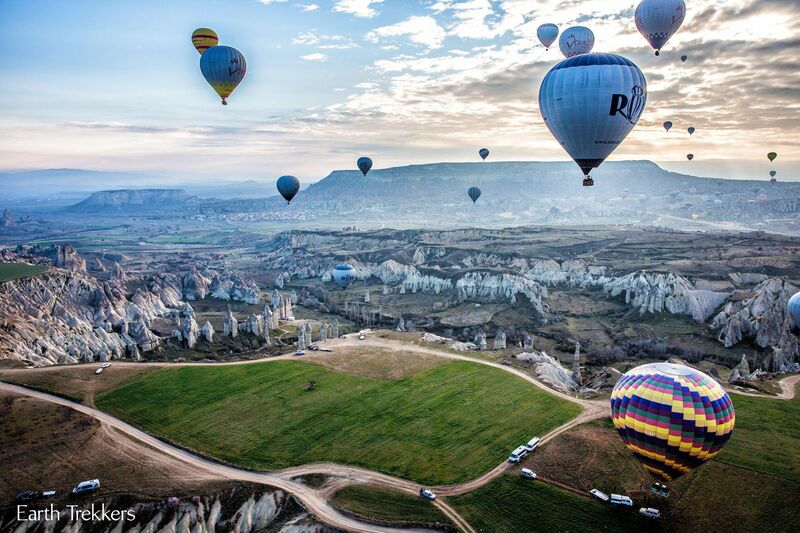 I think we will follow your recommendations for Cappadocia! I saw that you had a private driver and said that you had 3 point-to-point hikes. Which ones were those and do you remember by any chance if it’s possible to do those without being picked up at the end? I assume we would just have to walk back and double the time spent?